Now the average household can use one charger/power adaptor for most devices rather than needing a different fixed plug charger for each individual device. The key components that make up the versatile enecharger range are the AC or DC power supplies, a diverse range of adaptor plugs and adaptor cables# that can be purchased in ready-to-go kits or separately as required when users change their devices. 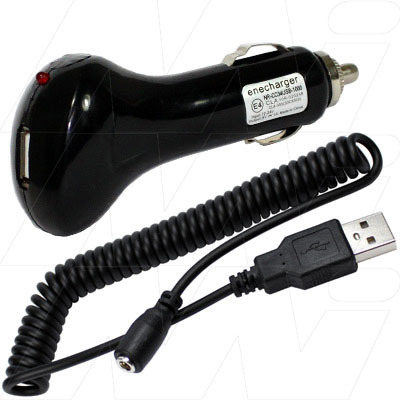 The enecharger USB power cable affords users the freedom to charge their devices at home, in the office or on the go from any USB power source. *Please note some devices use a USB adaptor cable for power/charging and also for communications/uploading/downloading with a computer. Except where marked#, the enecharger range is designed primarily for power/charging so may not always work for communication with a computer. #Adaptor cables beginning with prefix CDC are both charge & data communications cables.